Stalin's Soviet Union is an official paradise, where citizens live free from crime and fear only one thing: the all-powerful state. Defending this system is idealistic security officer Leo Demidov, a war hero who believes in the iron fist of the law. But when a murderer starts to kill at will and Leo dares to investigate, the State's obedient servant finds himself demoted and exiled. Now, with only his wife at his side, Leo must fight to uncover shocking truths about a killer-and a country where "crime" doesn't exist. International #1 bestselling author Tom Rob Smith graduated from Cambridge University in 2001 and lives in London. His novels in the Child 44 trilogy were New York Times bestsellers and international publishing sensations. 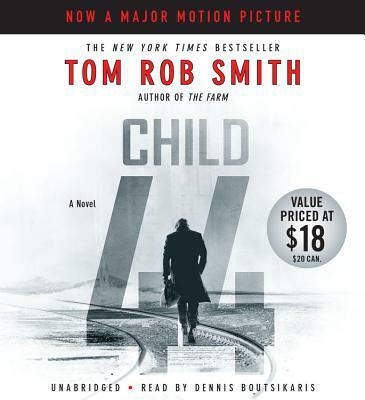 Among its many honors, Child 44 won the ITW 2009 Thriller Award for Best First Novel, The Strand Magazine 2008 Critics Award for Best First Novel, the CWA Ian Fleming Steel Dagger Award, and was longlisted for the Man Booker Prize.